In a move that has surprised the markets, UK Prime Minister Theresa May has announced a snap General Election in just 50 days' time to be held on the 8th June 2017. In the most recent polls from ComRes1 & YouGov2, the Conservatives came 21% ahead of Labour. Mrs May said: "I have concluded the only way to guarantee certainty and security for years ahead is to hold this election." There is a vote in the House of Commons on Wednesday to confirm Parliament's backing, which is expected to pass. Why has May called a General Election now? The current Labour leader Jeremy Corbyn has struggled with his own party support. After the EU Referendum on the 23rd June 2016, there had been calls for his resignation over the "disastrous campaign" according to Labour MP Angela Smith. If the Conservative Party is able to gain seats at the General Election, then it would provide PM May with a firm mandate as she enters the Brexit negotiations. As Parliamentary terms can be a maximum of 5 years, a win for the Conservative's on the 8th of June would provide the government with more time (if needed) for Brexit negotiations. How have the markets reacted? Ahead of the confirmation, the uncertainty surrounding the surprise speech weighed on Pounds (GBP), with GBP/USD trading to session lows of 1.25163 . The subsequent announcement of the snap election, has led to a significant rally for GBP/USD to a high of 1.26734 . Citi Analyst's believe there is a tradeoff of a small near-term uncertainty; however this removes a good proportion of the uncertainty in two years' time on exit. If the General Election goes as planned (i.e. the Conservative's maintain a majority) this helps limit tail risk and is GBP positive in the long run. The rebound in Pounds (GBP) has added to the session losses for the FTSE 100, with index down -1.57% (7,212.31)5 . As the index opened after a four day weekend for Easter, it fell as traders adjusted their positions towards safer haven assets to reflect the "risk off" environment from the recent geopolitical events. Citi Analysts next monthly FX forecasts are expected Friday 21st April. For further information about how this might impact your investments, please contact your relationship manager. 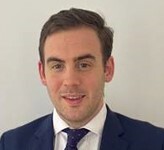 2 YouGov "Voting Intentions (12-13 April)"
Prior to joining Citi as an FX Counsellor, Joe joined Citi after four years as the Director of a start-up FX broker. His earlier roles were as an FX Dealer based in London and the Middle East. He is a keen traveller, and enjoys skiing each season.